Now keep in mind that this isn’t a post trying to predict which team is going to take which player. That’s a pointless endeavor because one trade will blow up the whole thing and I have no clue how teams have rated players. This is a mock draft where I’m acting as the General Manager for each team and will be picking players that I would take to fill holes if I were running the show. So without further adieu, let’s get to work. For my money, the best quarterback in the entire NFL Draft. There are obviously off-the-field concerns, but you have to take the best quarterback and then treat him with kid gloves. Try to keep him in line and pray that he grows up/stays out of trouble. But if you’re Tampa Bay, you can’t roll into the season with Mike Glennon and expect things to go well. This completes an offense with some seriously talented wide receivers. Plenty of rumors about the Titans trading this pick to San Diego for Philip Rivers, which would certainly be an interesting play. If they want to acquire a 33-year old, then so be it, but I would rather have Mariota. I think Mariota has a chance to be a very good player in the NFL and he can definitely make all of the throws. If you’re the Titans, you certainly can’t go into the season with Zach Mettenberger as your starting QB. I still think that Mariota ends up with the Eagles at the end of the day though. My favorite edge rusher in the entire draft. He added weight for the Combine and didn’t lose any of his burst. He’s a freaky athlete and the most polished edge rusher available right now. Beasley gives the Jags a nice pass rusher to add to the defense that needs to attack the quarterback. Wide receiver is a massive need, but it’s one of, if not the deepest position in this draft. Amari Cooper and Kevin White would be tempting, but Leonard Williams falling into their lap is too nice. Williams is a polished defensive tackle that could even play defensive end. He’s solid physically and would be a plug and play starter for the Raiders. With the loss of Brian Orakpo, the Redskins need another edge rusher. It would be tough to pass up on the offensive line here, but with Fowler falling into their lap, you have to pounce. Panic button and trade down…seriously. If the top 5 plays out like this, they I would be furious as the Jets GM. But, we don’t know how they have Bud Dupree, Randy Gregory or Shane Ray rated. They want at least one receiver to go in the top 5 and if one doesn’t, then they set themselves on fire. Or at least I would. So what do you do since we can’t trade down in this mock? Pick Brandon Scherff and call it a day. Take your medicine. Help out the offensive line and Scherff’s versatility makes him an asset. I think Amari Cooper is better than Kevin White…but not by much. It’s a 1a, 1b type rating and I think that Cooper’s physical skills are a nice compliment for Alshon Jeffery. White is raw and has more athleticism, but Cooper is far more polished right now and for a team trying to make a quick turn around, would be a great fit on the offense. Another reach, no question about it and no denying it. But the Falcons are in desperate need of a few pass rushers and Dupree has some seriously raw athleticism that could be utilized. This is probably the only pick in the first 15-20 that I wouldn’t totally love making as GM, but sometimes you have to roll the dice. Another team very unhappy with the start of this draft. I don’t particularly care for having a first round pick from 8-18, and what you’re seeing right now is why. This draft is more about depth than it is about marquee talents. I think that guys that go between 35-45 could have just as big of an impact next year as guys going in the 15-25 range. It’s going to be interesting to see how things pan out. At any rate, the Giants need help along the defensive line and Armstead provides versatility and size. Another West Virginia wide receiver?! Yep. Why not. The Rams need a true deep threat and Tavon Austin has not been much more than a gadget player at this point. White would allow the offense to stretch the field and gives Nick Foles a nice new toy to play with. The Vikings need a high-quality cornerback to deal with all of the talented wide receivers in the NFC North and Waynes is the best corner in the Draft. He’d probably have some growing pains dealing with Calvin Johnson, Jordy Nelson and Alshon Jeffery, but he’s got the physical tools to develop nicely. With Josh Gordon getting set to miss the entire season, the Browns need a wide receiver in the absolute worst way. Parker would be the best wide receiver on the board at this point and would be a no-brainer selection. It gives the Browns a guy to stretch the field and take some pressure off the run game. The Saints are in desperate need of a pass rusher but there’s no one here worth taking this early. You may be thinking, a corner? Seriously? They have Keenan Lewis and Stanley Jean-Baptiste and signed Brandon Browner and Kyle Wilson this summer. Well when you give up 4,000 passing yards over the course of the season to your opponents, you need to fix it. I don’t think Kyle Wilson is that good and Browner signed a three-year deal but who knows how long he’ll play. Johnson is a talented player that is good in man-to-man and could be brought along slowly. Mike Wallace was supposed to be a game-breaking deep threat when they signed him but he didn’t get the job done and now Wallace is up in Minnesota. Jarvis Landry turned out to be a great pick, but they still need that guy that can stretch the field and Breshad Perriman is just that. He’s got a great skill set and while there are things he’s got to work on (like cutting down on drops), he’s got some serious potential. Patrick Willis retires and then Chris Borland pulls the chute unexpectedly. Time to hit the panic button and reach a little to get another guy who can play inside. Best player available is a great strategy when it comes to the Draft, but not every team is afforded that luxury. Time to take the best middle linebacker in the draft and get to work. Letting Andre Johnson go to Indianapolis is going to make for a strange sight on the football field, but it also leaves a big hole opposite Nuk Hopkins. Agholor would be a very nice, safe compliment for Hopkins. He’s sure-handed and a crisp route-runner and could do a great job with the extra space he would have lining up opposite Hopkins. Branden Oliver, Danny Woodhead, Donald Brown. Oliver was great last year, but it’s time to get a real true #1 running back that can tote the rock. Gurley may not be ready for more than half of next season, but his upside makes him well worth the wait. Something tells me that Gurley is going Top 12 though. Eric Berry’s future is quite uncertain after he was diagnosed with Hodgkin’s Lymphoma. It’s not clear if he will ever play football again and Landon Collins would fill a major need for them. Collins has good instincts and is a good tackler and while he has some flaws, is the best safety in the draft. The Cleveland Browns already have a pretty solid offensive line, but working with the best player available strategy gets them another solid starter for the offensive line. Collins can slide in at RG in place of John Greco and solidify the interior. Then when Mitchell Schwartz leaves, likely after this year, he can kick out to right tackle. Byron Jones has started to shoot up draft boards ever since the NFL Combine. It’s caused people to go back to tape and check out his skill set. Jones can play corner or safety and would look good starting opposite newly signed Byron Maxwell. Ereck Flowers may not start right away, but he would be a replacement for Andre Whitworth who is turning 34 years old. He’s got the ideal size (6’6 1/2″ 329 lbs) to play either tackle spot in the NFL and if he can perfect his technique he could be great. He has/had major red flags from a personality stand point but the altercation that got him kicked off the team has reportedly been cleared up/explained. If anyone can keep someone in line it’s Mike Tomlin and the Steelers secondary is in such terrible standing that they need the most talented DB on the board, which is Peters. Erving sometimes has problems kicking out or pulling on blocks, but his versatility makes him a major asset for the Lions. He could play guard or center, which would allow Travis Swanson to play guard or center, based on coaches preferences. D.J. 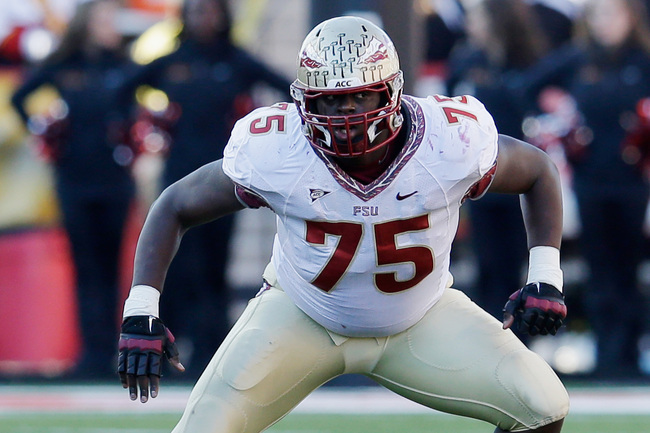 Humphries or T.J. Clemmings would be intriguing options to put at LT and slide Riley Reiff to LG too. I don’t love Shane Ray because of the turf toe injury that seems to be lingering, especially when most of his skills are based on his explosiveness. He can’t do anything other than rush the passer, and while he’s great at that, if his toe injury doesn’t get resolved then there are going to be problems. Either way, the Cardinals are in dire need of some pass rush help and at 24, Ray is worth the risk. The Panthers have had offensive line problems for years and it’s about time they started to try to shore it up. Humphries is raw but it would give the Panthers a future starting left tackle to go opposite of Michael Oher. To answer your question, yes, I do hate the defensive tackles in this class. Will Phillips be the first defensive tackle off the board? No. Will there be a DT that goes off the board before this? Yes. But for my money, no one is worth it and Phillips becomes a pick of necessity. The Ravens need help along the defensive line and Phillips gives them a massive starting NT to replace Haloti Ngata. Losing Demarco Murray and replacing him with Darren McFadden isn’t going to cut it. Joseph Randle and Lance Dunbar aren’t bad players but Melvin Gordon is a true #1 running back that they need. Gordon’s one-cut downhill running style is perfect for the Cowboys offense and makes him a good replacement for Demarco. Fisher becomes an asset at this point because he is extremely versatile and that’s what the Broncos need. They need help in the interior of the offensive line and the fact that Fisher can play tackle too is just a huge bonus. Protecting Peyton Manning, along with replacing Julius Thomas and paying Demaryius Thomas, are the most important jobs for the Broncos right now. I cannot stand Gosder Cherilus and Clemmings has way more upside on the offensive line. Clemmings could replace Cherilus at RT and eventually move to LT if things work out alright. Protecting Andrew Luck is a huge key to perfecting the offense that added Frank Gore and Andre Johnson this offseason. The Green Bay Packers need help in the secondary (depth wise) and Rowe has the ability to play safety or cornerback. They wouldn’t need Rowe to start by any means, but giving him some time to develop would be crucial and he can be a future starter. I’m not a huge fan of taking Gregory early in the first round (say at New Orleans first pick at #13). When you’re picking that high you don’t want to have to deal with a project or a guy that needs a lot of coaching to develop. Yes, there are times when it works out very well, but I would say it fails more often than not (Bud Dupree is the one I’m willing to take the risk with this year, Gregory not so much). Taking Gregory at the end of the first round is a good spot for him and fills a major need. The Patriots lost Brandon Browner and Darrelle Revis so it’s safe to say that they need a cornerback. Add in the fact that Vince Wilfork is now gone and the Patriots are going to focus very heavily on the defensive side of the ball. Replacing Revis and Browner with a rookie is not going to be a quick fix but Collins is the best available corner in the Draft and his combination of size and speed would be great for the Pats. Now I left out some players that the media has been buzzing about and so here are some guys that could go round 1 that I’m not the biggest fan of. It’s always really tough to tell when players start to shoot up draft boards (Phillip Dorsett, Byron Jones) if the NFL teams have always liked them and the media is just finding this out, or if teams (or the media) are finally doing more research. Or if there is another agenda (relationships with agents for example) that causes media members to peddle players closer to draft time, a practice Mel Kiper is notoriously guilty of doing. Or lastly if teams are sending up smoke screens to try to get other teams distracted. This time of year is always confusing and misleading and you never really know who to believe. I would say that this week leading up to the draft is a prime time to ignore most, if not all, things that are said. This entry was posted in NFL and tagged 2015 NFL Mock Draft, Amari Cooper, Andrus Peat, Arik Armstead, Arizona Cardinals, Atlanta Falcons, Baltimore Ravens, Brandon Scherff, Breshad Perriman, Bud Dupree, Byron Jones, Cameron Erving, Carolina Panthers, Chicago Bears, Cincinnati Bengals, Cleveland Browns, D.J. 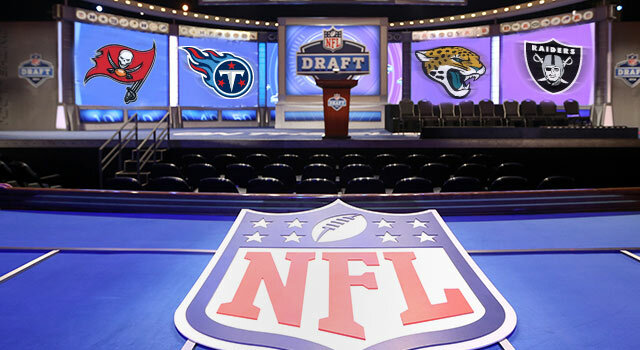 Humphries, Dallas Cowboys, Danny Shelton, Dante Fowler Jr, Denver Broncos, Detroit Lions, DeVante Parker, Dorial Green-Beckham, Ereck Flowers, Eric Kendricks, Eric Rowe, Green Bay Packers, Indianapolis Colts, Jacksonville Jaguars, Jaelen Strong, Jake Fisher, Jalen Collins, Jameis Winston, Jordan Phillips, Kansas City Chiefs, Kevin Johnson, Kevin White, La'El Collins, Laken Tomlinson, Landon Collins, Leonard Williams, Malcom Brown, Marcus Mariota, Marcus Peters, Maxx Williams, Melvin Gordon, Miami Dolphins, Minnesota Vikings, New England Patriots, New Orleans Saints, New York Giants, New York Jets, Oakland Raiders, Philadelphia Eagles, Phillip Dorsett, Pittsburgh Steelers, Randy Gregory, San Diego Chargers, San Francisco 49ers, Shane Ray, Shaq Thompson, St. Louis Rams, Tampa Bay Buccaneers, Tennessee Titans, TJ Clemmings, Todd Gurley, Trae Waynes, Vic Beasley, Washington Redskins. Bookmark the permalink.